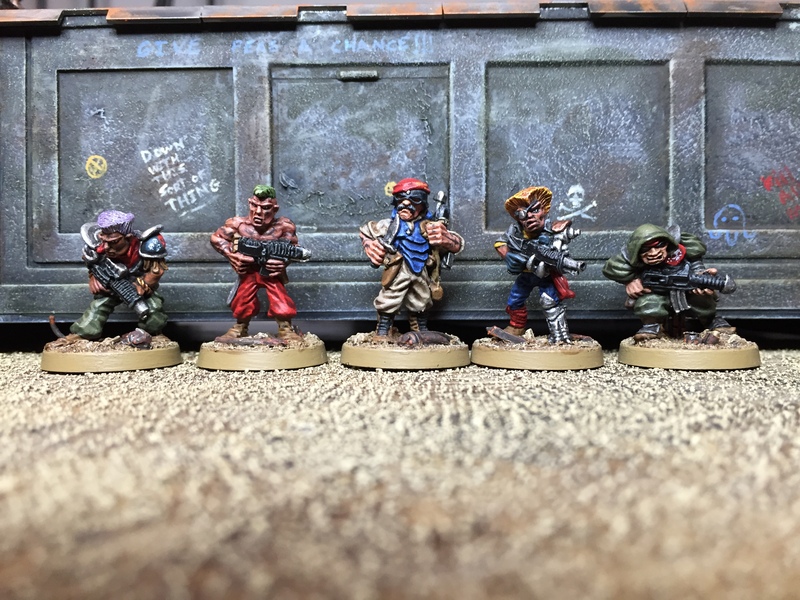 Happy Monday chaps & chapesses, I’m happy to report that I have finished all of the Rogue Trader Space Pirates from the 1988 summer flier – all 24 of them. They were sculpted by Mike Perry and Bob Naismith back in the day, and released in July just over 27 years ago! 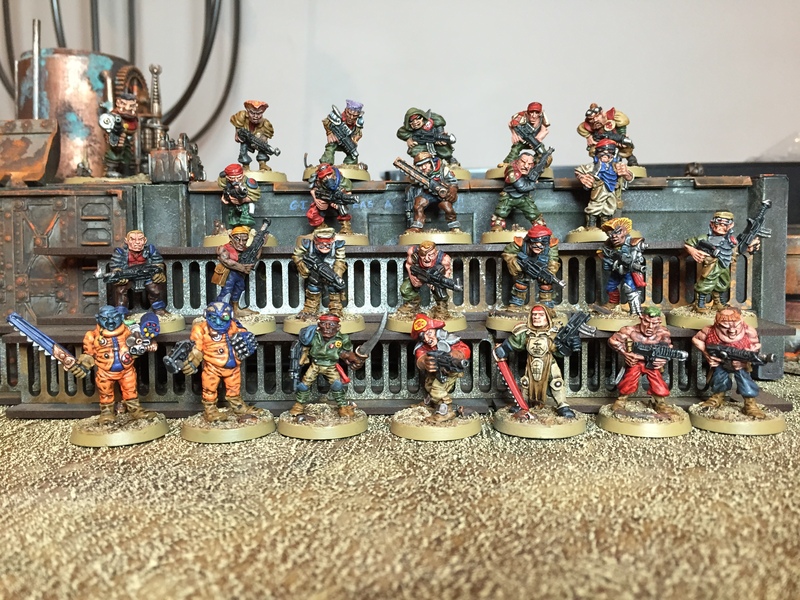 I’m so chuffed to have a) collected this little lot, and b) have them all painted up… there are some classic sculpts in here, and even the slightly dodgy ones are real characters… and it kinda feels like preserving this crew is a worthy thing to do. 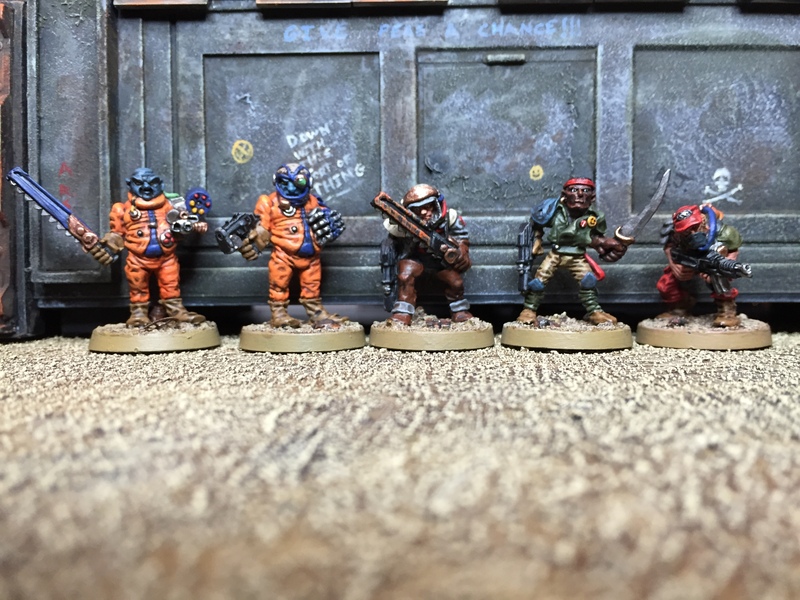 The eclectic nature of this bunch has presented some real painting opportunities – it is nice to work without the predefined palette that you tend to get with ‘regular’ 40K troops, and I also felt it appropriate to play around with different flesh tones – I still need to refine how I do darker skin, but at least I now have a jumping off point! 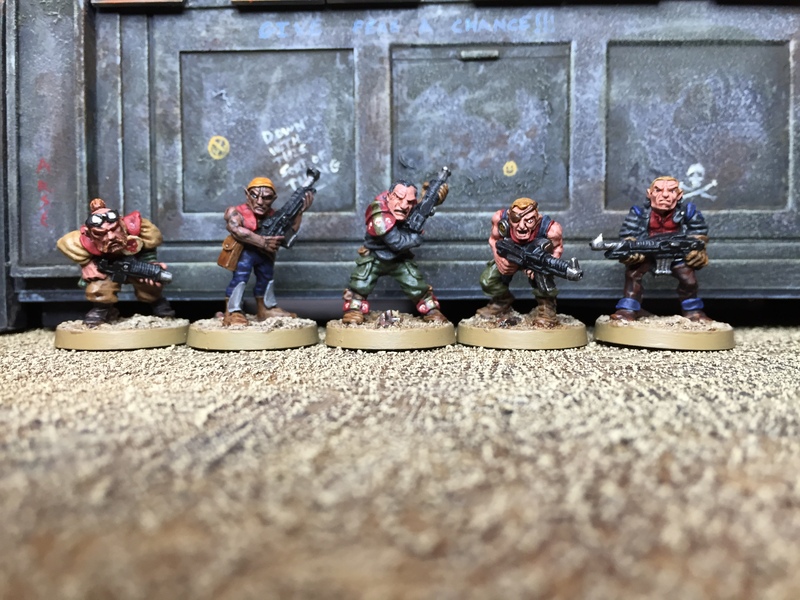 In terms of usage, these guys will primarily be for Rogue Trader – a game that I am really looking forward to exploring more fully as time goes by, but they can also stand in as counts-as conscripts for my Praetorians in regular games of 40K. This is so nice to both see a complete collection and completely painted one on top ! You really gave each model its own vibe and though teh sculpts greatly vary from each other, they have a unique vbe when in group like that. Really brings the best of RT. 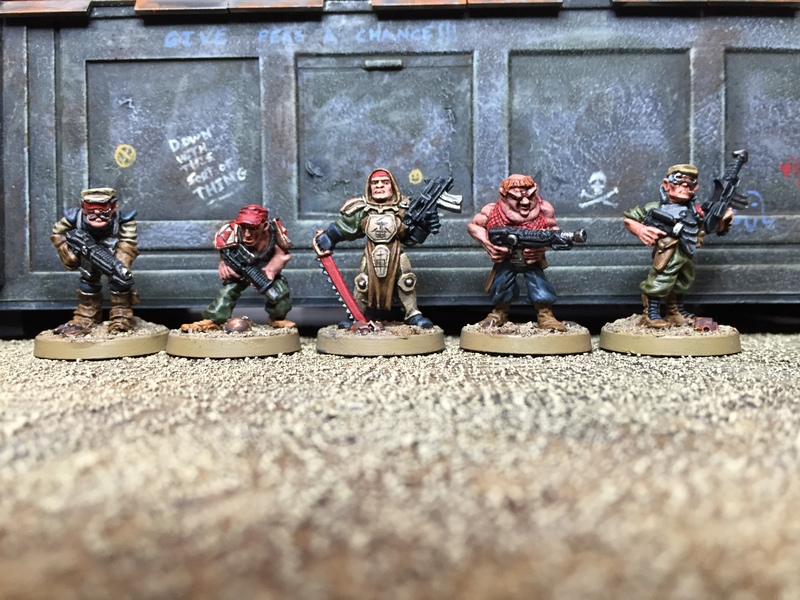 Collecting an enviable range of obscure miniatures has an appeal of its own, but painting the lot ready to game with is factors better. Great work! Awesome work on these guys, it’s so cool to see them all together and finished. My favourites are definitely the weird blue dudes, closely followed by the excellent sensei. Great work all round mate. Awesome work. They really got that old rpg feel of RT. 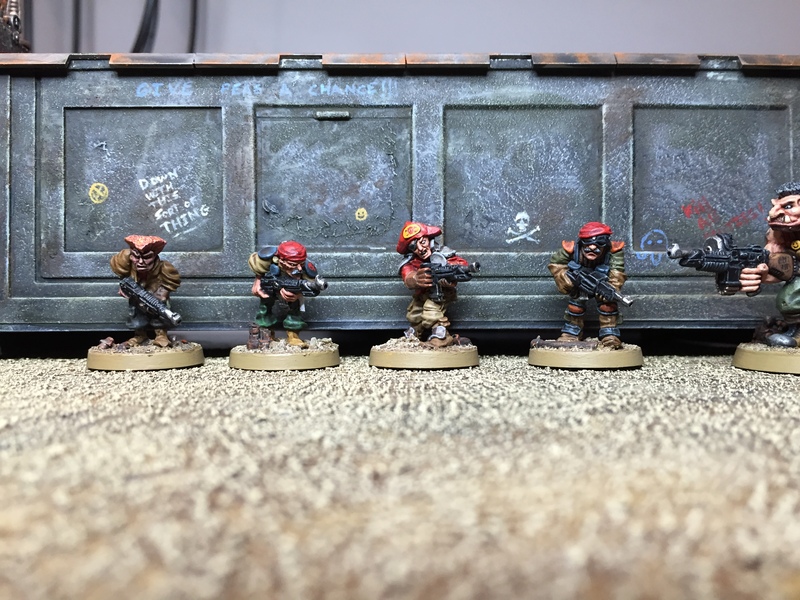 Some very cool old miniatures in there, glad to see them getting a new lease of life (and well done for knuckling down and finishing the project in a oner as well). Haha how did I miss that first time? Brilliant!! Great work just in getting hold of all of these old models, let alone getting them all painted to such a standard. The group shot is especially impressive. Might I suggest going after the “Adventurers” or “Bob Olley’s Space Pirates” next? A great bunch of figures, and something pretty unique to see in 2015!